Looking for a new YAMAHA Vehicle? 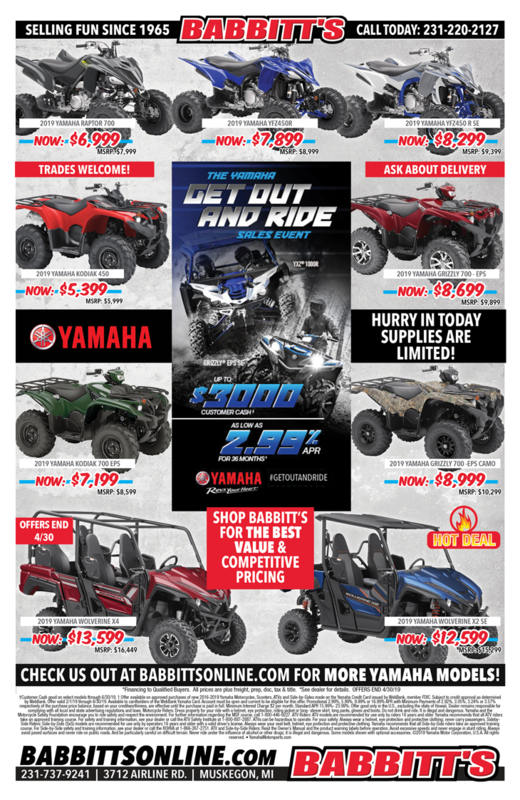 Yamaha supplies the latest and greatest ATV's, Motorcycles, Side X Sides, Snowmobiles, Watercraft and Scooters, while Babbitt's offers the "Great Prices & our Babbitt's Guarantee"! Don't wait, these units are limited and offers end Soon! Yamaha Motorcycle, ATV, Side X Side, Snowmobile, Watercraft and Scooter Original Equipment Manufacturer Parts.